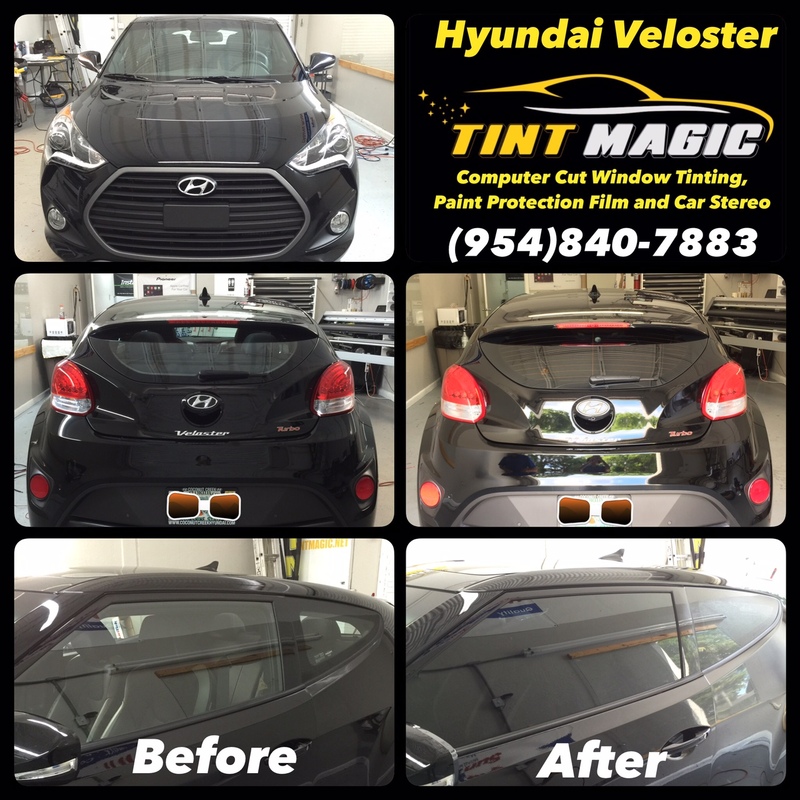 Hyundai Veloster at Tint Magic Window Tint. We are located at 11344 Wiles Road, Coral Springs, Fl 33076. Call us for a free estimate! (954)840-7883. Hyundai also took care to position the Rally Edition within spitting distance of the rest of the Veloster lineup. Based on the Turbo R-Spec, the least-expensive turbocharged Veloster, the Rally Edition is $2350 dearer. Curiously, the Rally Edition is also pricier than the stick-shift Veloster Turbo, by $1350, but goes without that model’s leather seat upholstery, heated front chairs, push-button ignition, and electroluminescent gauge cluster. The Rally Edition does come with the Turbo’s eight-speaker, 450-watt Dimension audio system, however, as well as a special blue-and-black interior color scheme, Rally Edition floor mats, and a Rally Edition badge.